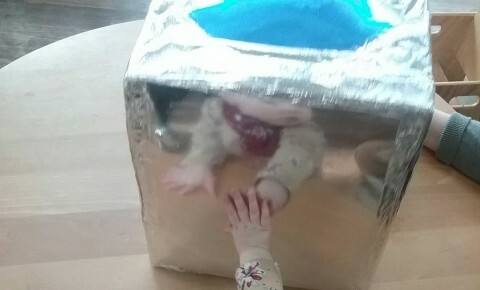 The baby room enjoyed creating their very own box mirror in enrolment week. The children had fun discovering themselves in the mirror with their friends. They learned all about themselves, finding their eyes, noses and mouths.